The brain is a highly complex frontier of science. We can record its electrical activity and are constantly updating our functional map of its structure. We know that speech, for example, is localized in the cerebral cortex. Scientists can place electrodes on the cortex to study brain waves and record signals. While it has been suggested that we could distinguish between neural activity from speech and neural activity from other components, it could not be decoded until now. Researchers at Karlsruhe Institute of Technology in Germany and at Wadsworth Center in America are the first to devise a system that can decode brain activity from speaking and actually translate it back into words. Called “Brain-to-Text,” the system used electrodes placed on the cerebral cortex to record brain activity while the seven volunteer epileptic subjects (who were undergoing invasive brain treatment anyway) read a sample text aloud. 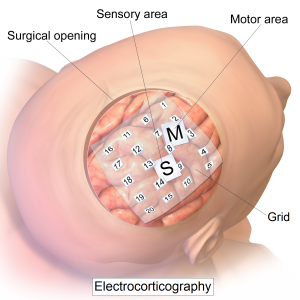 These electrocorticography signals were then analyzed and decoded. Researchers now seek to apply this cutting-edge system to eventually be able to derive textual meaning simply from someone’s thoughts. While this revolutionary technology would have many applications spanning dozens of industries, the researchers highlighted one powerful example—accessing “trapped” brains. With technology like this, “locked in” patients (those that, because of certain trauma or neurotoxins, are paralyzed and unable to speak but have uninhibited upper brain functions) could communicate. One could essentially reach out from deep within their brain and be heard without saying a word.